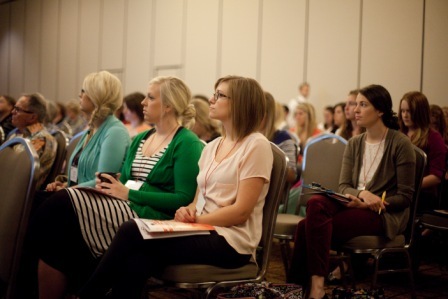 The NSLHA Fall Convention showcases excellent education and networking opportunities for audiologists, speech-language pathologists and students. Register online or complete and submit a paper version of the registration form. Up to 1.4 Continuing Education Credits (CEUs) will be available. Exhibitor and sponsor registration is open. 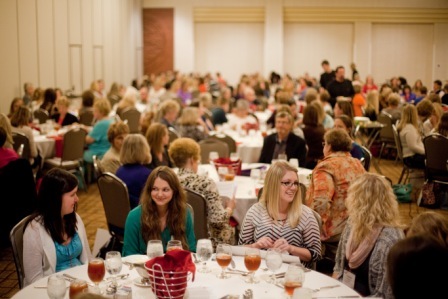 Connect with Nebraska audiologists, speech-language pathologists and students in the profession. We have several new sponsorship opportunities available, to help promote your business or organization. The registration deadline is September 11th. Register online or complete and submit a paper version of the exhibitor/sponsor registration brochure. Download the slide presentations and session handouts. General Session presented by Janet Deppe on Thursday, September 24, 2015 at 8:00 a.m.
Thursday, September 24, 2015 from 9:15 - 11:45 a.m.
Thursday, September 24, 2015 from 1:30 - 3:00 p.m.
Thursday, September 24, 2015 on 1:30 - 4:30 p.m.
Thursday, September 24, 2015 from 1:30 - 4:00 p.m.
Friday, September 25, 2015 from 8:30 - 10:00 a.m.
Friday, September 25, 2015 from 8:30 a.m. - 12:00 p.m.
Friday, September 25, 2015 from 8:30 a.m. - 11:30 a.m.
Friday, September 25, 2015 from 8:30 - 11:30 a.m.
Friday, September 25, 2015 from 10:15 a.m. - 12:00 p.m.
Friday, September 25, 2015 from 1:00 - 3:00 p.m.
Friday, September 25, 2015 from 1:00 - 3:30 p.m.
Friday, September 25, 2015 from 1:00 - 2:30 p.m.
Friday, September 25, 2015 from 1:00 - 2:00 p.m.
Friday, September 25, 2015 from 2:00 - 3:00 p.m.